Neurofeedback is very helpful to me and my emotions. Discover state-of-the-art, comprehensive treatment and personalized care for ADD or ADHD, bipolar disorder, depression, learning disabilities, obsessive-compulsive disorder, migraines, stroke and traumatic brain injury at Achievement & Wellness Center. Serving the residents of Bucks, Montgomery, Mercer, Burlington and Philadelphia counties, in Pennsylvania and New Jersey. 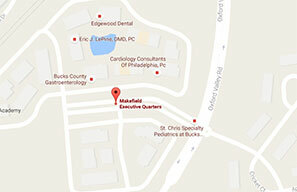 We are located in the lovely community of Yardley which neighbors Newtown and Langhorne PA. It's best to use GPS or Google maps for driving directions as city driving conditions apply. Call: 215.321.9502 for directions from our staff. Discover state-of-the-art treatments and gentle care to help you cope with life’s challenges at Achievement & Wellness Center. Call us at 215.321.9502 with your questions or to schedule your visit with us. For your convenience, you can use our online Request an Appointment form.